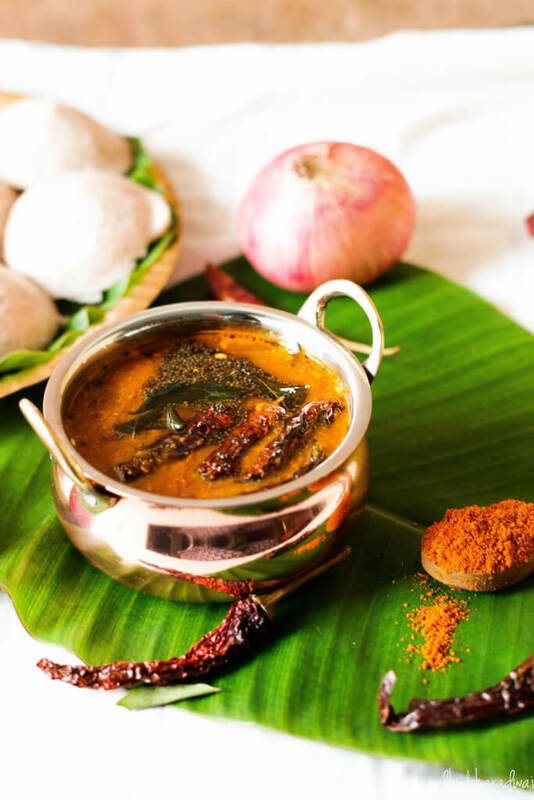 Recipe for Bangalore Darshini style Sambar for idli dosa – Tangy, sweet, spicy and just right to dunk those soft idlis or crispy vadas and dosas into this sambar, and slurp it off the bowl. A blob of ghee takes it to another level. A keeper, this style of sambar doesn’t need a lot of vegetables and can be made quickly in 30 minutes. Let me tell you something, the Darshinis (Small eateries that serve breakfast and snacks) in Bangalore have a distinct style of making sambar that is very different from the sambar anywhere else in Karnataka or elsewhere for that matter. And very few darshinis have that unique flavour which has been consistent over the years. 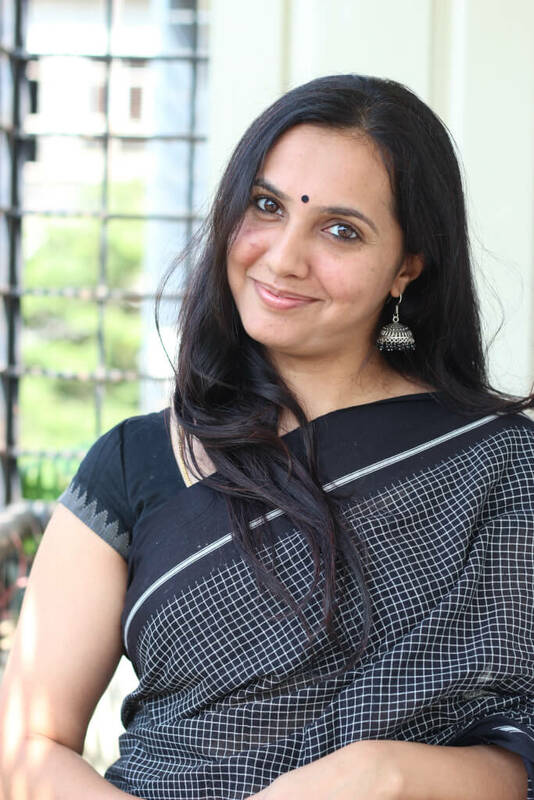 My fav darshini is Shankar Narayana refreshments, J P Nagar which according to me serves the best chutney and sambar. Yes, the chutney is creamy, thick, slightly tangy and is the best ever, the sambar, needless to say is spicy, tangy, hot and when you dunk a crispy vada into it, you’ll feel a bite of heaven on your taste buds. 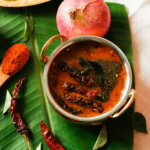 In most homes, the sambar is usually made using onions and potatoes, but this kinda Bangalore Darshini Style Sambar for Idli Dosa | Hotel Style Sambar requires just two veggies and toor dal, a bit of sambar powder and that secret ingredient(s) that makes it taste just like the one you get in hotels. 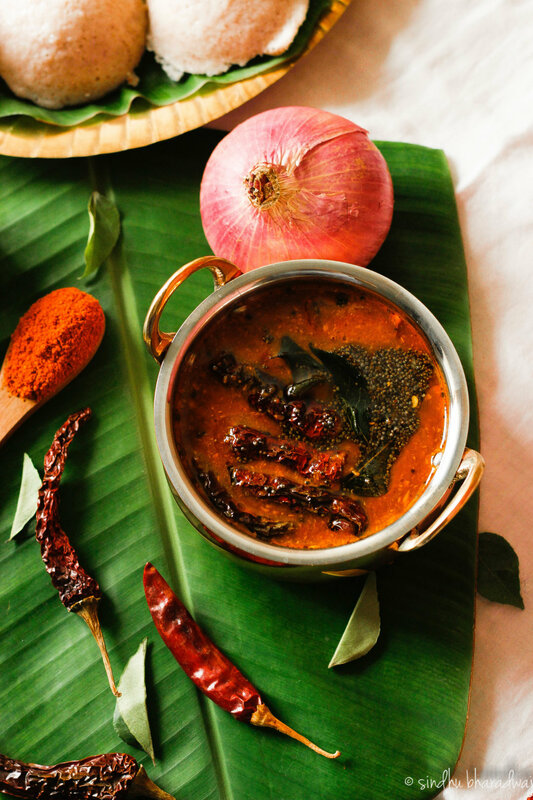 Get the best of both worlds with this amazing sambar recipe that you just don’t want to miss. The aroma of hing and the sambar powder mixture simmering in a hot pot and generously poured on steaming hot idlis and vadey is only something that needs to be slurped instantly. You can never get enough of it. Slurp Slurp Slurp!! 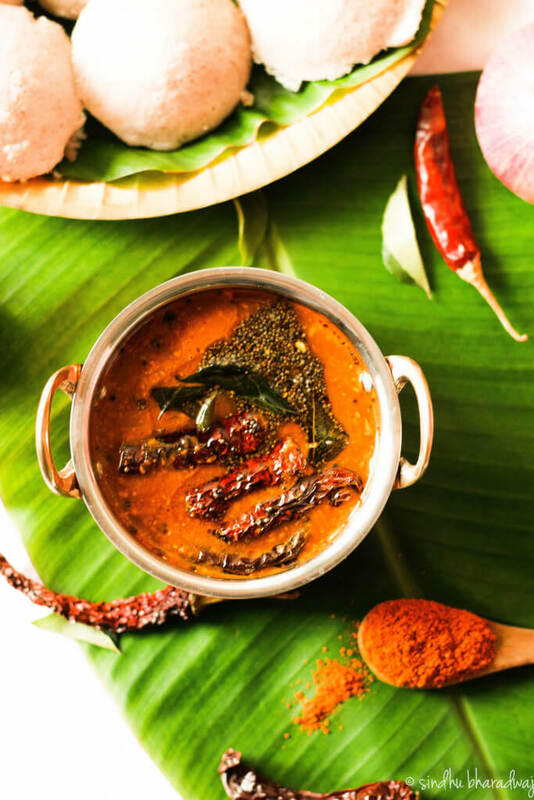 Recipe for Bangalore Darshini style Sambar for idli dosa - Tangy, sweet, spicy and just right to dunk those soft idlis or crispy vadas and dosas into this sambar, and slurp it off the bowl. A blob of ghee takes it to another level. A keeper, this style of sambar doesn't need a lot of vegetables and can be made quickly in 30 minutes. 1Tbsp Tamarind pulpExtracted out of soaking a lemon sized ball of tamarind in warm water. To begin making the sambar, wash the toor dal and add the tomato and onions along with it. Add 2 cups of water, a pinch of turmeric and oil. Pressure cook for 3 whistles or until the dal is mashed and cooked completely. In another small kadai, heat a tsp of oil and add the cinnamon, cloves and hing. On medium low flame roast them until they are aromatic, add the grated coconut and give it a quick mix and stir. Switch off the stove and let it cool. Now, add transfer them to a mixer jar and grind it along with sambar and rasam powder, to a thick paste, by adding little water as needed. 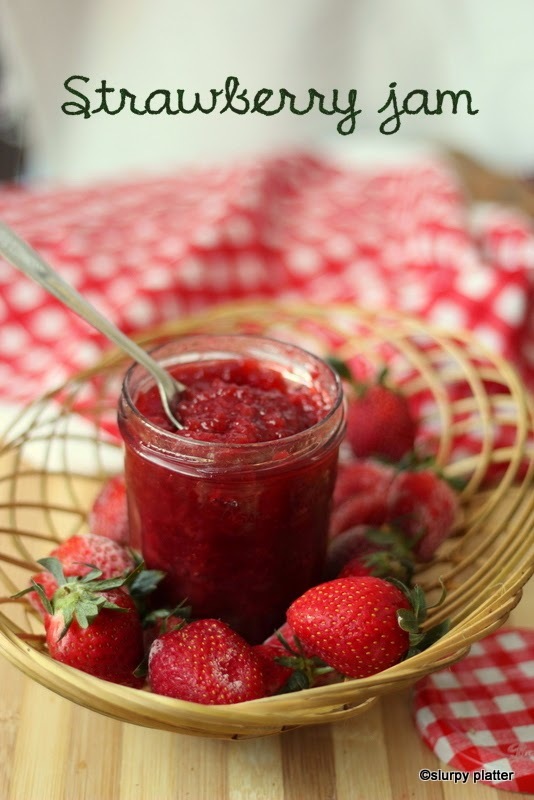 Once the cooker cools down, add the ground mixture and give it a stir, add some more water if needed. Next, add salt, tamarind pulp, jaggery and give it a quick mix. Let it come to a boil. In a small pan, heat oil and add the mustard seeds, once it splutters add the hing, curry leaves and dried red chilli. Pour over the sambar and slurppppp! 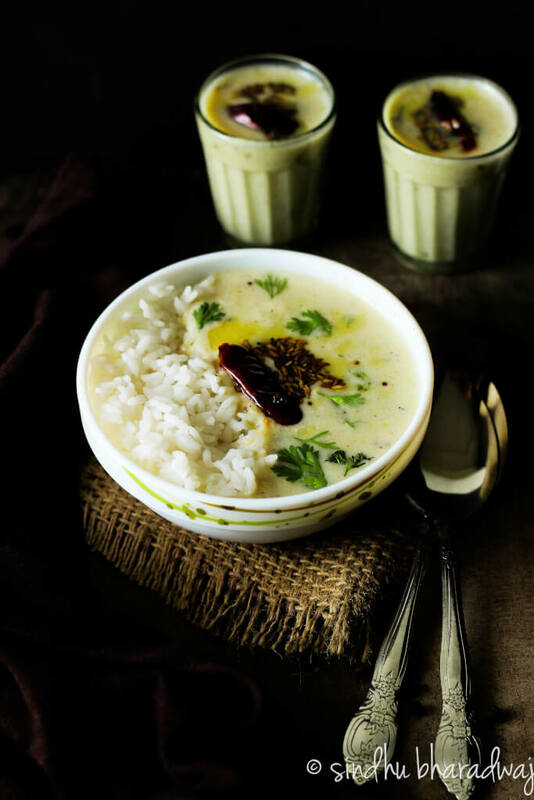 The hing, cinnamon and clove give it a very distinct taste that is unbelievebly similar to the darshini style sambar. 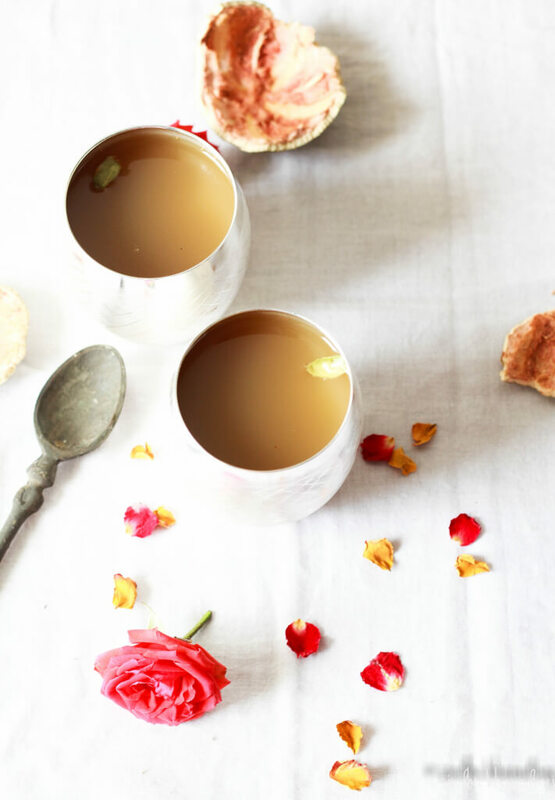 You can also use the ready made tamarind pulp if you don't have tamarind juice at home. Works equally well.